Red Lobster is one of the biggest seafood chains in the world. It is a brand that is known and loved across the United States, with hundreds of locations nationwide and a long, illustrious history. Red Lobster grow considerably in the 1980s and 1990s and it has continued that growth since then. It has branched out into the international market and there are now Red Lobster restaurants in many countries around the world. Bill Darden and Charley Woodsby opened the first Red Lobster restaurant in 1968. They chose Lakeland, Florida, as their location and focused on fresh seafood. This proved to be an instant hit, thriving on the local dollar as well as the tourist one. So much so that they had a couple more restaurants under their belts within a very short space of time. The General Mills company acquired Red Lobster in 1970. With hundreds of years of experience behind it, as well as countless billions of dollars, General Mills was able to propel the Red Lobster brand into the stratosphere. In just a short time it exploded, and Red Lobster locations began popping up all over the country. The best decades for Red Lobster were during the 1980s and 1990s. By this time it had become a well-known and much loved brand, which further helped with the expansion process. In 1995, Red Lobster became part of the Daren Restaurant group, which was created by General Mills to operate their successful restaurant chains, including Olive Garden. They changed hands again a decade later, and these days Red Lobster is in the hands of Golden Gate Capital. GGC, who also own California Pizza Kitchen, paid in excess of $2 billion for the brand. As with all big chains, Red Lobster spends a lot of time pushing its brand. There have been a number of big ad campaigns over the years and they have also been endorsed by countless celebrities. In 2016 they received a gift from singing sensation Beyonce when she mentioned them in one of their songs. This passing mention was enough to cause a media storm that resulted in a 33% increase in sales for the chain. The main source of their promotions are the “all-you-can-eat” buffets that they run. These are focused on single items, such as shrimp and crab’s legs. The customers pay a one-off fee and can then eat as many as they want. These feasts provide them with a smaller margin of profit, but what these campaigns lose in sales they more than make up for with the extra custom that arrives as a result of them. Lobster is the catch of the day at Red Lobster, which won’t come as a surprise. But they also offer a number of other seafood dishes, including shrimp, crab and mollusks. Red Lobster thrives in coastal regions, where they have access to the freshest seafood and can provide low-cost, high quality menu options to their customers. The menu also includes surf and turf options, mixing seafood favorites with steak; chicken, including flame-grilled chicken and chicken salads; and pasta. Of course, wherever there is a coastal town or resort, there are a number of seafood restaurants. Red Lobster were not the first one to catch onto that trend and they won’t be the lat. However, their name, their financial backing, and their impeccable service means that whenever and wherever they open a new restaurant, they can rely on a booming trade. They also benefit from the fact that there are very few other seafood chains that have the sort of clout they have. As a result, Red Lobster are now synonymous with quality in this industry. Casual dining restaurants are usually limited when it comes to secret menus. We have explored this subject in the past and have managed to uncover some beauties on the Pizza Hut secret menu, the Olive Garden secret menu and even the Nando’s secret menu. These weren’t easy, but for Red Lobster it was a breeze. 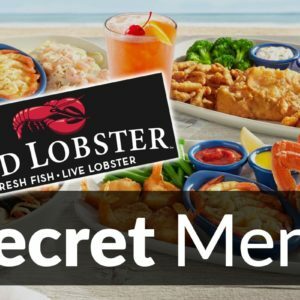 There are a number of secret menu hacks here and the Red Lobster secret menu is one of our favorites in the casual dining sector. These hacks include ways to get extra cheddar on the cheddar biscuits, a popular staple and one of the many reasons that diners choose Red Lobster over other seafood restaurants; Red Lobster specials hacks, which allow you to order previous specials, even if they are no longer on the menu; extensive gluten-free menu options; and much more. Seafood is packed full of protein and is very low in fat. The same goes for chicken, and both of these meats can be found in abundance on the Red Lobster menu. Of course, if you start cooking those meats in vegetable oil, if you start drizzling on oils and sauces and sprinkling on cheese, then you can expect your love handles to have a little more grip. There are plenty of healthy salads, lean meats and more to enjoy as well. But if you opt for the Endless Shrimp (shown in the video) and pull a Homer Simpson on them, then you should make room for a few thousand calories. But on the plus side, you probably won’t need to eat again for the rest of the week. Read our Red Lobster nutrition guide to learn more about the food you’re eating and the calories it contains. Lobster doesn’t come cheap. There was a time when lobster was in abundance and was so cheap it was given to prisoners. But by the time Red Lobster opened their first restaurant, it was quickly becoming a delicacy. These days you can pay a lot of money for ones of these shelled creatures. 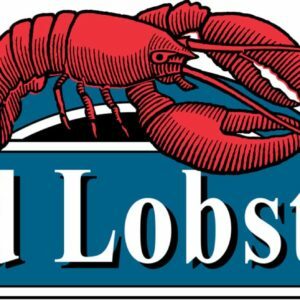 The goal of Red Lobster, therefore, was to create a menu that could be affordable to everyone, while still including copious amounts of lobster and other fresh seafood. And they managed to do just that. They serve a combination of Maine lobster, Rock lobster and Langostino. The Langostino is considerably cheaper and is often used in some of their soups and bisques. It doesn’t look like a lobster as such. But the tail meat looks like lobster meat and tastes just as good. This allows Red Lobster to cut some corners and means that if you want the real deal, you just have to make sure you order something that looks like a lobster on the outside and the inside. Not all chains succeed outside of their home country. Taco Bell, a huge brand, has struggled to gain traction in many countries, including Mexico. Arby’s, an American institution by all accounts, has tried and failed in more than a dozen countries and can now only be found in 3 countries other than the US. Red Lobster is open 7 days a week. Its doors open at 10:00am on most days and close at 11:00pm. These times may change depending on your location and international stores tend to operate at different schedules. Be sure to check with your local store to determine the opening times.